The Lighthouse Chorus is more than just an a cappella ensemble, it is a family. We love getting together each week and sharing friendships, as well as great music. If you like to sing, you're invited to visit the Lighthouse Chorus rehearsals and discover your new inner performer! Sitting in on one of our rehearsals is the perfect way to find out more about us, and what we can do for you! You'll have the opportunity to hear us perform four-part, a cappella harmony, and you'll be invited to join us on the risers to experience the music, friendship and fun for which the Lighthouse Chorus is known! Guests are welcome to view any Lighthouse Chorus rehearsal, Thursdays at 7pm. Men of all ages are invited to attend. For more information, contact Bruce Nurton at bgnurton@gmail.com. 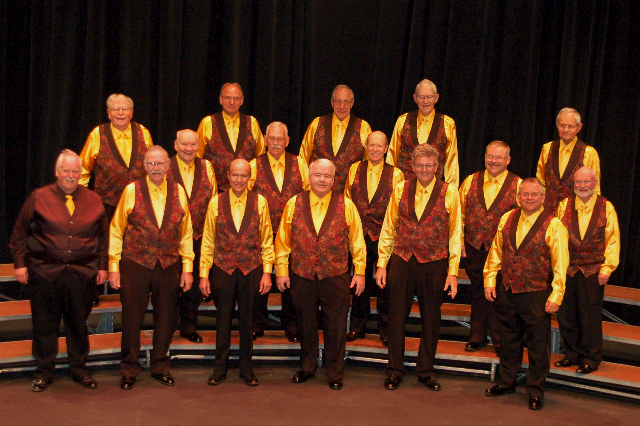 If you're a man who loves to sing, we'd love to meet you! Our members travel from all over southwest Michigan to sing with the Lighthouse Chorus. To quote one of our members, "It's the love of singing that brought me to Lighthouse Chorus. It's the fun and lasting friendships that keep me returning week after week. It's truly a family!" Visit us and find out for yourself!